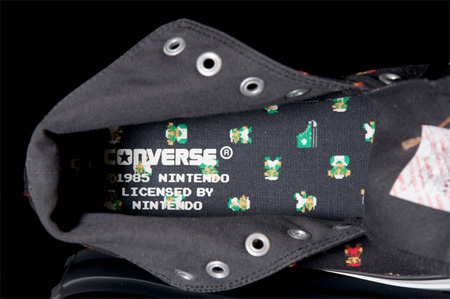 Converse and Nintendo have teamed up and designed a series of awesome sneakers inspired by the iconic video game. 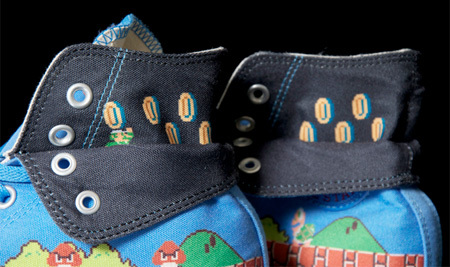 Super Mario Bros. themed shoes will be released in August 2011. So. Awesome. 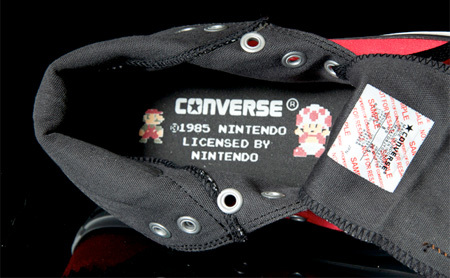 I wouldn’t want to wear them for fear of making them dirty! 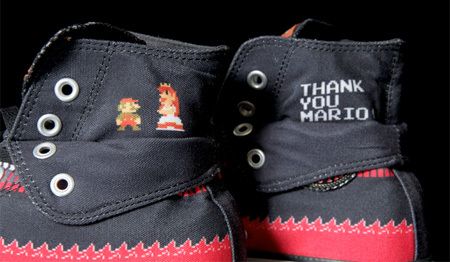 I’m gonna buy one too..
Now those are some nice shoes :-) 1UP! How to spot the nerdy gamers outside of conventions. lol. 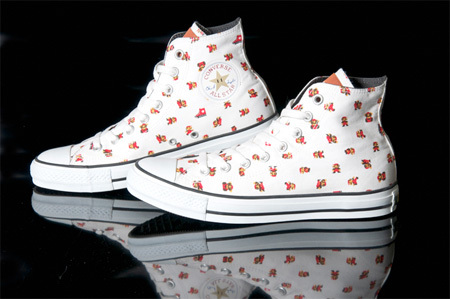 I just found my wedding shoes. that’s really smart of them to think of that! 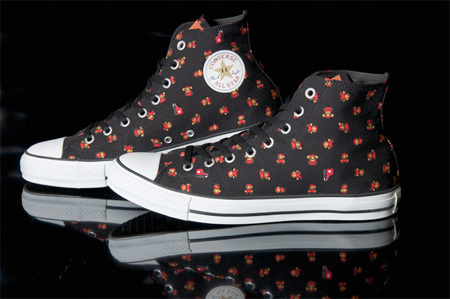 I need these!! You guys who said you’re buying them, WHERE FROM???? Help out a fellow nerd please!! Oh my God. 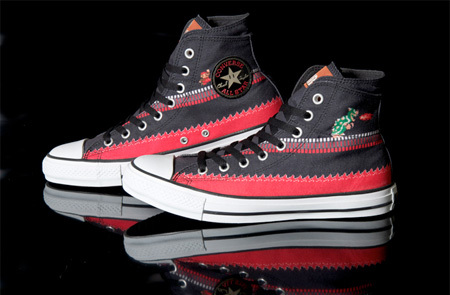 These are freaking amazing! 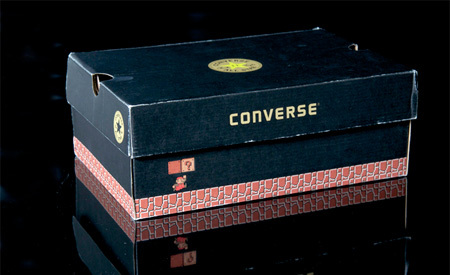 Where can we order them!?! ?